These last few weeks have been super busy! Especially with it being half term this week and that N took the week off it has been a wonderful bit of family time and not very much reading or blogging going on... Luckily, the rest of the month more than made up for that. It's been a mix of reading this month. I really wanted to catch up as much as I can with my review reading but every time I thought about how many books I have on my review pile I felt so under pressure that I was halfway to a reading slump at different periods of the month. Which is why there are so many adult romance books there to balance out that feeling. I did read some great books this month, especially books by British authors... I loved You Don't Know Me by Sophia Bennett and The Drowning by Rachel Ward and The Night Itself by Zoe Marriott. Lots of great books by non-British authors too! Including the new Sarah Dessen and Unbreakable by Elizabeth Norris which is quickly becoming one of my favourite series.... What was the best of the bunch though? 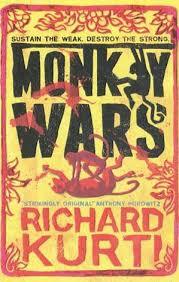 It has to be Monkey Wars by Richard Kurti. It was absolutely fascinating and endlessly interesting with wonderful characters and a really fast pace. It's a book about warring monkeys and power struggles amongst them, but there's really something special about it as well. It's definitely a book that's gotten under my skin and has left me thinking about it still, weeks after turning those final pages. I've been incredibly lucky to have so many awesome authors being interviewed or sharing guest posts on my blog! Thank you to Sophia Bennett, Tanya Byrne, Richard Kurti, Marie-Louise Jensen, CJ Harper and Rachel Ward for taking the time to share their words on Fluttering Butterflies! I really do appreciate it. 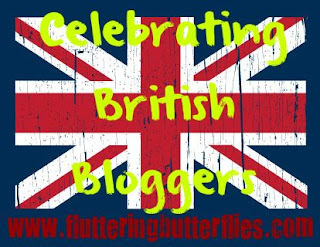 I have just two more of these Celebrating British Bloggers interviews lined up and then sadly this feature will end. I've had a wonderful time getting to know everyone through these interviews and I'd like to offer my thanks and appreciation to everyone who took part, read or commented on these interviews! 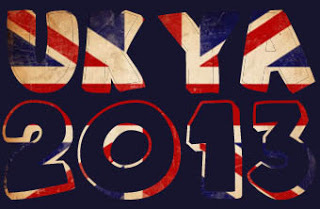 I use Waiting on Wednesday posts to share with you some upcoming UKYA that I'm excited about...! Bookshelf Requirements is my new feature on the blog that I'm really excited about. I've sent some emails out to some bloggers and publicists that I know and I have two more wonderful guest posts lined up. (Huge thank you to Kate Ormand for her lovely guest post linked above!) But if YOU would like to be involved in this feature, I'd love to hear from you. Leave a comment, tweet at me or send me an email. Here are some bookish posts that I wrote this month. I love writing non-review posts. Do you like reading them? These are my semi-personal posts. By that I mean that they aren't reviews and they aren't necessarily about books. How do you feel about these types of posts? I've only signed up to the one reading challenge this year, you'd think I'd be doing amazingly with it ... and yet I'm not. I'm actually surprised by the number of books I've read this month that have fit in with this challenge. I think it's my highest monthly total so far this year! Let's hope that continues! Currently, 29% of the books I've read so far this year have been books written by British authors. Not bad, but I want to do better! This personal challenge was taken up so that I'm doing more to clear my TBR shelves. They are certainly out of control. I've fallen behind in the past few months, and while I didn't hit my target of 10 of my own books reading this month, I feel like I'm slowly getting there. Perhaps June will be my month! How do you do it Clover? I think i read three books this month - at a push. and HOW DO YOU HAVE SUCH AN AWESOME BLOG? seriously. you've posted like a GAZILLION times this month! haha. I'm interested to know what you thought of Ink as i've heard both good and bad things about it. I think i've missed a few of your posts so i'm off to read the guest post by Marie Louise Jensen, but i think i missed this too..whats the Bookshelf Requirements? Thanks for the lovely comment :) I have a pretty rigorous blogging schedule that I try hard to keep to.. Ink was okay. Enjoyable, but I had issues with it. Will be reviewing soon. 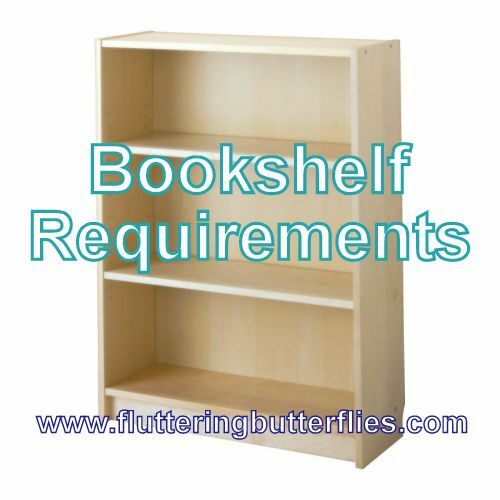 Bookshelf Requirements is my new feature in which I ask other bookish people what books/authors/series do they NEED to have on their bookshelves. I want to hear specifics about why they love those books. Wow you managed a lot this month! I loved your mix of reviews and personal posts, especially the state of your TBR pile, something we can all relate to! Yay, I'm glad to hear it! I do read a lot ... it's to keep me busy while I'm sadly unemployed! The 5th Wave was my favourite book of May. I like how you are reading so many books by British authors! I've heard wonderful things about The 5th Wave! I have a copy and hope to get to it soon. One of my New Year's resolutions this year was to have 1 out of 3 books I read this year be by British authors. I'm almost there so far.